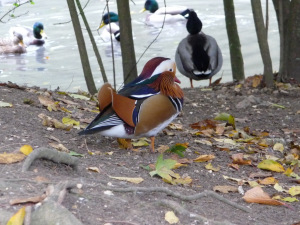 Observation - Mandarin (Duck) - UK and Ireland. Description: Field Study Observation #13 Very easy to tell this is a male! Very easy to tell this is a male!